UPPER EAST SIDE, Manhattan (WABC) -- New York City police released video of man dressed like a clown who allegedly menaced and chased a subway rider in Manhattan. Police said the man -- wearing multicolored clothing and oversized shoes -- blocked a 16-year-old from getting off an uptown 6 train at East 96th Street on the Upper East Side October 5 at about 2 p.m. The teen was finally able to get away and started running. But as he was leaving the subway station he turned around and saw the clown chasing him while holding a large kitchen knife. The teen ran out of the station to the street, and the clown took off in another direction. The NYPD released this surveillance video of man dressed like a clown who menaced and chased after a subway rider. 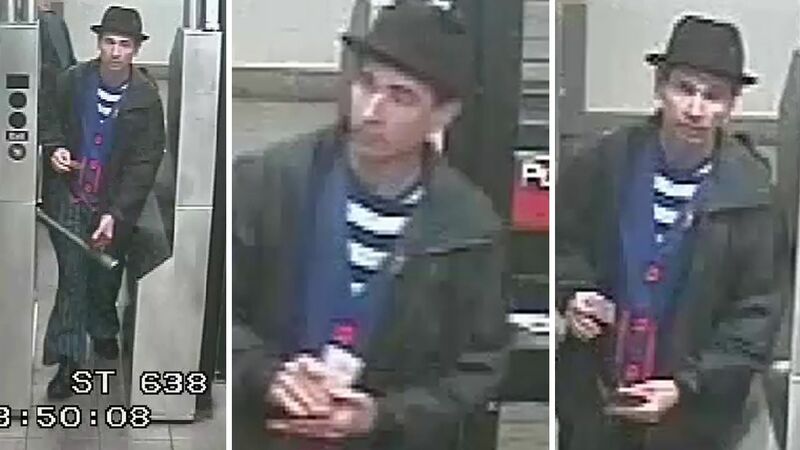 The victim initially reported to police that the man was wearing clown makeup, but that doesn't appear to be the case in the surveillance video. Anyone with information about this incident is asked to call the NYPD's Crime Stoppers Hotline at 1-800-577-TIPS (8477).